stores stocked, supplies flowing and making our lives so much easier. We couldn\'t do it without you. GSM Transport wishes you all a Happy New Year. Keep Trucking 2019! A leading provider of innovative transportation solutions, GSM Transport Co. offers world-class customer service using the latest transportation technology and methodology. We ensure on-time deliveries, delay prevention and coordinated shipments at affordable prices. We offer expertise in overweight hauling, transportation cost management and on-budget delivery. Our fully-equipped trucks are waiting to assist with your overweight loads and our team provides all necessary permits. Since 2006, our Chicago-area intermodal container trucking company has specialized in import-export traffic coming to Chicago through all major railroads: BNSF, Union Pacific, Norfolk Southern, CSX, Canadian Pacific, and Canadian National. We are members of the Uniform Intermodal Interchange and Facilities Access Agreement (UIIA) and have interchangeable agreements with all rail yards. 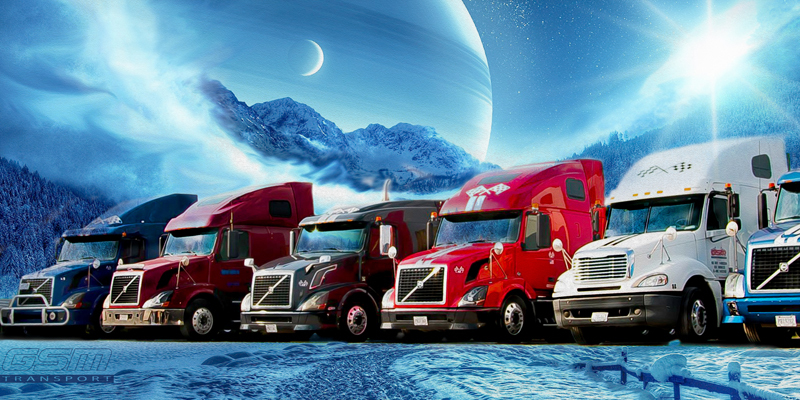 Owner-operators and drivers choose GSM Transport Co. Why? Simply put, our company values your work-life balance and make your personal time a priority. We’re rapidly expanding and looking for talented, enthusiastic people to join our team. There’s never been a better time to join the GSM team. We offer expertise in overweight hauling, managing transport costs and delivering on-budget. 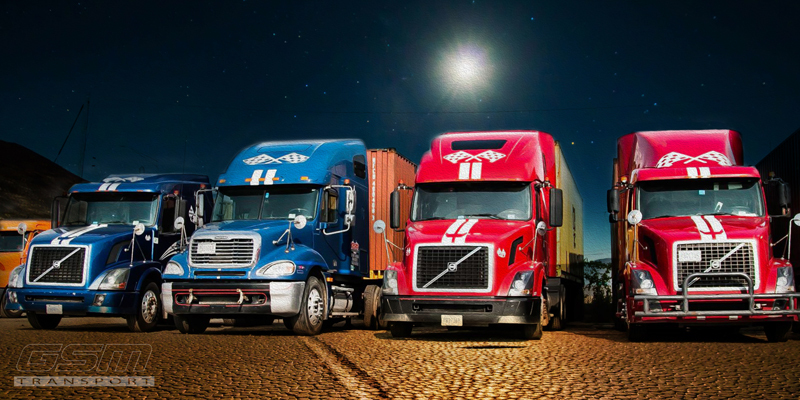 GSM Transport Co. has fully equipped trucks for overweight loads and provides all necessary permits for the job. We are dedicated to providing our customers with timely helpful service at competitive prices. We treat your equipment like it were our own. 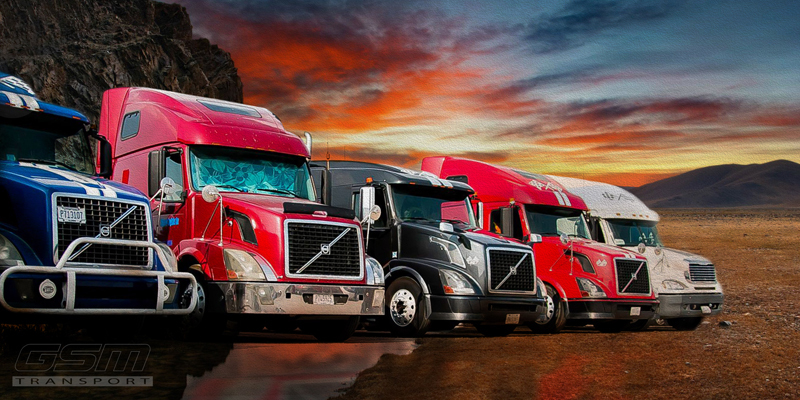 Our diversified fleet can meet the challenges of almost any shipment.